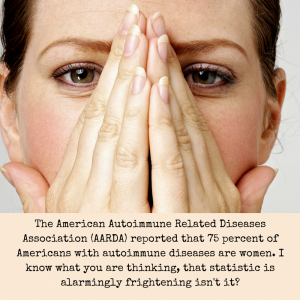 Have you ever noticed that you know a lot more women suffering from an autoimmune disease than men? The American Autoimmune Related Diseases Association (AARDA) reported that 75 percent of Americans with autoimmune diseases are women. I know what you are thinking, that statistic is alarmingly frightening isn’t it? Want to hear something even scarier? Autoimmune diseases accounted for more than $100 billion in direct health care costs every year. One of the biggest reasons for this high health care costs is the exhausting effort it takes to actually come up with a diagnosis. It on average takes 4.6 years to diagnose an autoimmune disease and most patients see about 5 doctors in pursuit of a diagnosis. Us as women, need to become more versed with the knowledge of signs and factors of autoimmune related diseases. Especially since during my research related to autoimmune diseases, many of the different varieties of autoimmune disorders, distinctly say that women are at a greater risk of developing these types of diseases. The real question is, however, why are we at an increased risk of acquiring these diseases? First I will digress, and explain the basic functions of an autoimmune disease so you can have a better grasp of the severity of these diseases. Normally your immune system is there to protect your body from harmful, dangerous things that enter such as viruses or bacteria. However, autoimmune diseases basically have a hard time distinguishing between potential threats and your bodies organs and tissues. Thus, your immune system starts to attack vital organs and tissues in your body. So yeah, it can be very serious and dangerous to your health, to say the least! 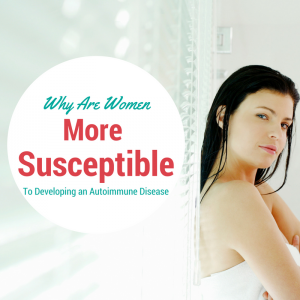 Why Are Women More Susceptible to Developing an Autoimmune Disease? After reading about what an autoimmune disease is I’m sure you now are curious as to why women have the increased probability of developing these diseases. Why do us as women get the pleasure of possibly suffering from such a debilitating disease? We are gonna dive deeper into the “why’s” of the increased development of autoimmune diseases in the female gender. Interesting enough, our chromosomes could possibly play a role when further research was conducted on autoimmune diseases. Some scientists have offered that women, who have two X chromosomes rather than an X and Y chromosomes like men, are more susceptible to certain Autoimmune diseases. No big surprise, but scientists believe that women are at an increased risk of acquiring an autoimmune disease because women’s immune systems tend to be more sophisticated than men’s. This elaborate immune system, us females have makes us have stronger inflammatory responses when our immune systems are triggered. If you didn’t know, one of the biggest key players in autoimmune diseases is inflammation, so this increase in inflammatory responses could be contributing to the progression of women with this disease. I’m sure you as a woman have been called hormonal a time or two, I know I have! Well, hormonal differences between men and women might be a contributing factor of these diseases. Researchers have seen a flare up when examining autoimmune diseases and female hormonal fluctuations such as pregnancy, menstrual cycle, and oral contraception. All of the factors that contribute to the increase in the rise of women developing autoimmune diseases, unfortunately, cannot be avoided. With that being said it is now critical to understand the top autoimmune diseases women develop and the signs to each of these diseases. Rheumatoid Arthritis is an autoimmune disease that affects the joints. Your immune system starts to attack the lining of the joints, which causes the joints to become inflamed, swollen, and cause a great deal of pain. According to the Arthritis Foundation, about 1.5 million Americans suffer from Rheumatoid Arthritis, and there are three times as women than men affected by the disease. Diabetes is a leading cause of death among middle-aged American women. 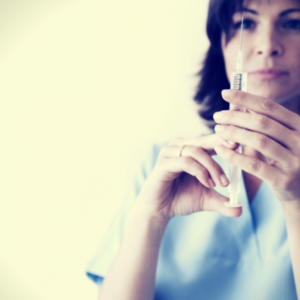 Although there are two types of diabetes, only one is associated with autoimmune disease. 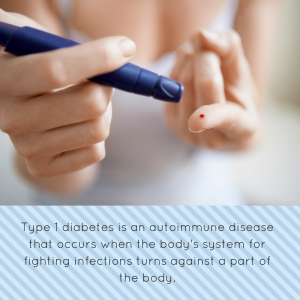 Type 1 diabetes is an autoimmune disease that occurs when the body’s system for fighting infections turns against a part of the body. Specifically, in diabetes, the immune system attacks the insulin-producing beta cells in the pancreas and destroys them. “All disease starts in the gut”, according to the father of Modern Medicine, Hippocrates. Based on that statement, Leaky Gut is an autoimmune disease that should be paid close attention to by women and doctors. Leaky gut is a newly emerging disease that many of us may have never heard of and takes a long long time to be diagnosed by doctors. Leaky gut is when your intestines lose the ability to filter nutrients and other substances. When this occurs, particles of undigested foods, bacteria, and other waste leaks through the intestines into the bloodstream. Telltale signs of leaky gut are food sensitivities, inflammatory bowel disease, and thyroid problems. Multiple Sclerosis (MS) is an autoimmune disease, where your immune system attacks the myelin coating that protects nerve fibers. This leads to a disturbance in the communication between your brain and the rest of your body. MS affects women more often than men. Women are primarily diagnosed with MS between the ages of 20 and 40 and signs can vary from tingling & tremors to dizziness & slurred speech. Lupus is a chronic inflammatory disease that occurs when your body’s immune system attacks your own tissues and organs. Inflammation caused by lupus can affect many different body systems – including your joints, skin, kidneys, blood cells, heart & lungs. 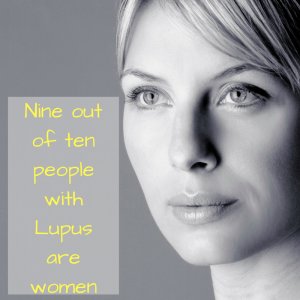 An alarming statistic regarding lupus is that nine out of ten people with lupus are women and women of color are two to three times more likely to develop it than Caucasians. 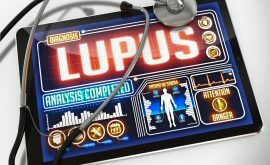 Symptoms of lupus can include tiredness, headaches, painful joints, and swelling. Hashimoto’s Thyroiditis occurs when the immune system attacks the thyroid, a butterfly-shaped gland in the center of your neck, which typically leads to a deficiency of thyroid hormones. Hashimoto’s affects 14 million Americans, making it the most common type of thyroid disorder that people suffer from. Symptoms of Hashimoto’s Thyroiditis include fatigue, weight gain, mood issues hormone imbalances, muscle and joint pain. Be sure to be vigilant about getting annual checkups to check on your thyroid to ensure you are healthy. An estimated total of 7.5 million Americans has Psoriasis. This autoimmune disease is a skin condition that causes your skin cells to grow rapidly. Psoriasis is one of the few autoimmune disorders that are equally common in both women and men. The most prevalent type of Psoriasis is Plaque Psoriasis, which shows up as raised, red patches covered with a build up of dead skin cells. Try using moisturizers to manage the level of severity. Did you know that four million people have Sjogren’s Syndrome and the average age of onset is people in their late 40’s? Sjogren’s Syndrome is an autoimmune disease in which the immune system begins to attack the glands that make tears and saliva. 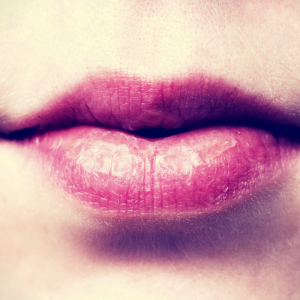 This condition can lead to conditions such as dry eyes and dry mouth. This disease is much more common in women than men, and scientist believe the disease is caused by a combination of genes and exposure to a virus or bacteria, but they’re also investigating the possibility that the endocrine and nervous system play a role. 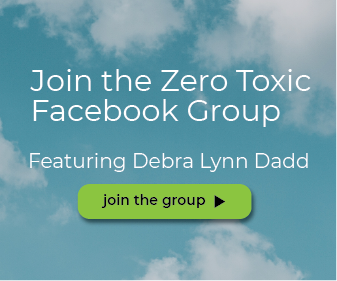 Air pollution is becoming an increasing issue for many people, especially those with autoimmune diseases. An overwhelming amount of synthetic chemicals have been created – 80,000 chemicals to be specific- and they have been introduced into our environment causing severe health issues. Although genetics factors were believed to be the key factor in the development of autoimmune diseases, scientists have started to conclude otherwise. 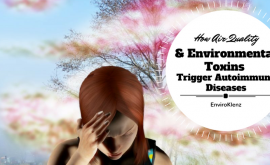 They have conducted research and now believe that environmental factors play a role due to the rapid increase in the number of people suffering from autoimmune diseases. Due to this increase, we need to be more thoughtful about our environment and protecting the air we breathe in every day. A recent study conducted found that our indoor air such as in our homes or offices can be more toxic than outdoor air. With the creation of chemical-filled products, our home’s air can be more dangerous than you even knew. Placing an air purifier in your home is vital to improving the overall air quality in your place of residence. Unfortunately, many air purifiers have the ability to filter the air but not protect your air long-term. When many air purifiers filter the air they aren’t able to destroy the chemicals, malodors, VOCs, and fragrances, which results in them being recycled back into the air. Well, the EnviroKlenz Mobile Air System isn’t like the many air purifiers on the market. EnviroKlenz has created an air purifier that not only traps the chemicals but destroys them so you don’t have to worry about your air being tainted once again. 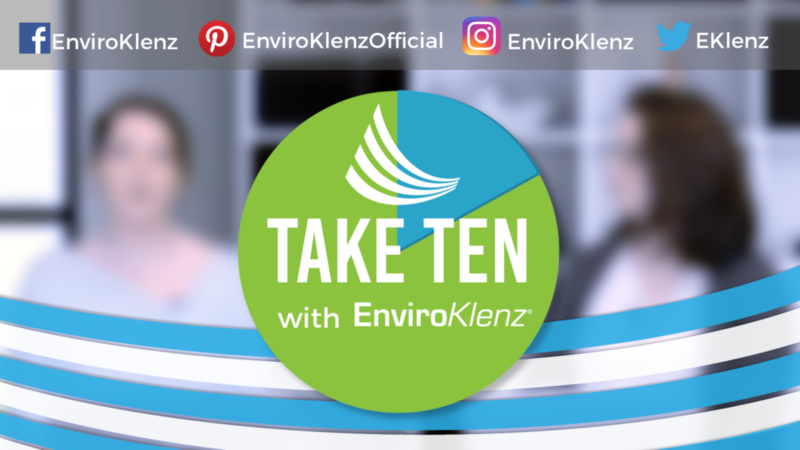 The EnviroKlenz Mobile Air System uses a certified HEPA filtration and our own patented EnviroKlenz Air Cartridge that removes & neutralizes the VOCs, malodors, and fragrances. Overall, autoimmune diseases can be very scary and dangerous to your health. Especially us women, due to to the increase in the development of us acquiring an autoimmune disease. Preparation is key, and information is knowledge because us girls need to stick together and create a united front against autoimmune diseases. 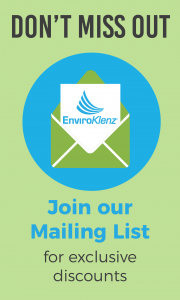 The EnviroKlenz Mobile Air System is your solution to removing VOCs and chemical pollutants from your indoor environment to get rid of awful paint odor. With the use of a hospital-grade HEPA filter and an effective earth mineral technology air cartridge, this two-stage filtration is perfect to place in your indoor space to mitigate potential hazards to your health. 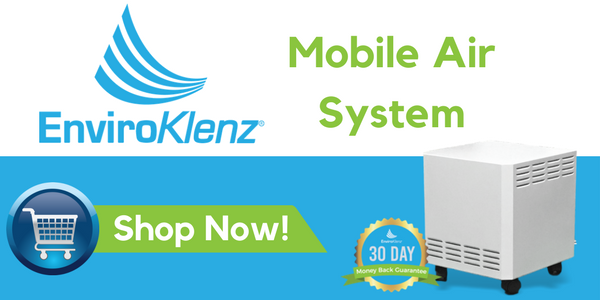 Whether you have chemical sensitivities, allergies, or are just looking to improve your indoor air quality, the EnviroKlenz Mobile Air System is your answer! “I am extremely happy to give this testimonial for the air cleaner called EnviroKlenz.